One of the reasons for bringing cars to potential customers is that Hyundai sales staff are not used to dealing with high-end clients who come through the door. 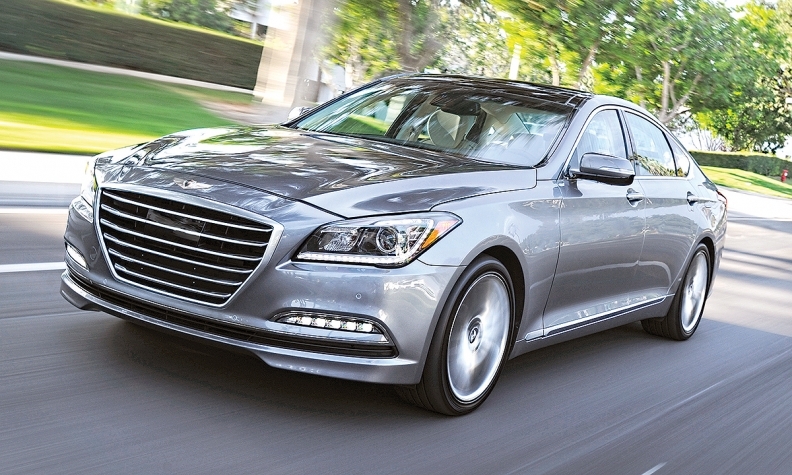 Hyundai is finally launching its long-awaited luxury brand, Genesis. That’s news. Bigger news still is the way Genesis plans to begin retailing its cars in Canada; with no separate Genesis dealers, and no Genesis cars in Hyundai dealerships either. Genesis Motors Canada plans “a hybrid between leveraging our current dealer body and having a program where the OEM sells direct,” says Michael Ricciuto, director of the Genesis Brand and Corporate Strategy. Under the umbrella “Genesis at Home,” sales staff will bring demo cars to prospective customers’ homes or workplaces. Customers will be able to complete the transaction online. And after the sale, cars will be picked up for service and returned to the customer on a similar concierge basis. The plan also envisages boutique showrooms in select malls and downtown locations. Here’s the reasoning: Genesis’s launch lineup – one midsize sedan and one large one – is too small and too low-volume to justify its own dealer network right now. The stand-alone Genesis stores will come about five years down the road. By that time, the product portfolio will include compact and midsize CUVs plus a compact sedan (a la BMW 3 series) and coupe. The greater sales volume should make the investment viable for the select Hyundai dealers eligible for the franchise. Meanwhile, the automaker recognises that prospects who could afford a Mercedes S class or BMW 7 series will balk at shopping in “lease-an-Accent-for-$39-per-week” Hyundai stores; Hyundai sales staff are not used to handling those high-end customers. In the United States, franchise laws mean the cars will still have to be carried and sold by Hyundai dealers, but American Hyundai will apply the concierge/on-line concept as much as possible to ensure prospects need never visit a physical Hyundai store … if they don’t want to. Different laws in Canada let Genesis take that a step further. Genesis Motors Canada will hold the inventory, and customers will ultimately make their purchase from the OEM; the dealers’ role will be to interface with customers as Genesis Canada’s agents: “We’ll be compensating our dealers very well so they can focus on literally selling the product, the features and the brand,” says Ricciuto. A key element in that process will be fixed, no-haggle, all-inclusive pricing. The larger G90 will be sold in just two models distinguished by their engines: turbocharged V-6 or non-turbo V-8. Both models will be loaded, with no options available. The all-inclusive price will even include destination, administration fees, etc. As of this writing, Genesis was just beginning private conversations with potential partner dealers. None of the dealers interviewed by Automotive News Canada had yet been approached, and without knowing any details, they were reluctant to comment. Eventually, Genesis buyers will be able to do that. The brand plans to have 33 bricks-and-mortar stores of its own in five years’ time.